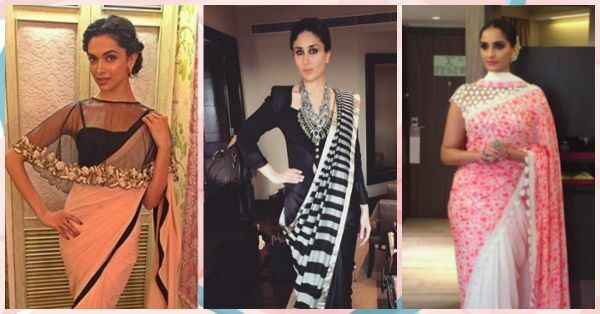 7 Ways To Style A Saree - Like Your Fav Bollywood Stars! When it comes to sarees, most of us usually just rummage through our mom’s collection, get a new backless blouse to match, and enter the shaadi venue looking our stunning best. While that does sound awesome, it’s time to switch things up a bit! Because we at POPxo are always trying to up our fashion statement! 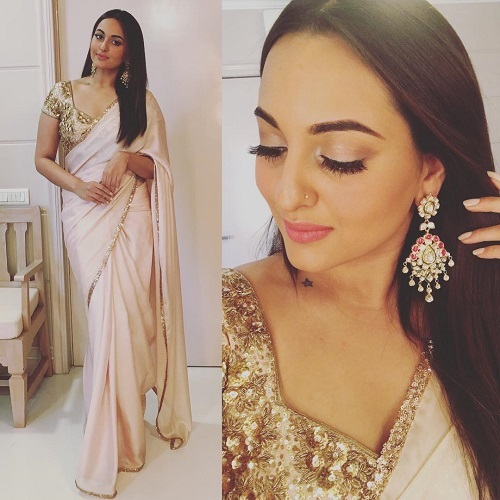 Check out these gorgeous Bollywood saree style ideas from celebs who make the 9 yards look even more 'wow'. Also read: 5 Exciting New Ways Of Draping Your Saree! Capes are an all new way to add a stylish twist to your saree. 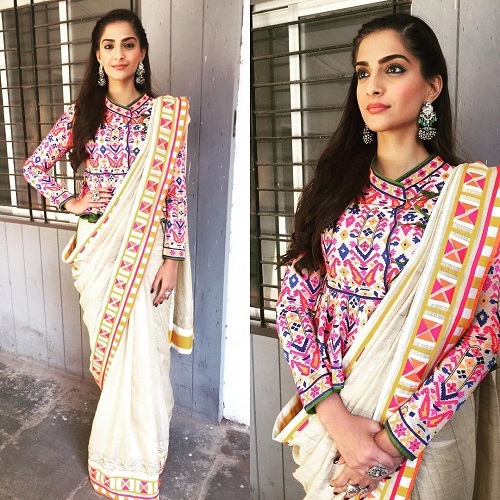 This is one trend you can totally nail using an old saree and give it a stylish new vibe. Ooh, and we do love that Deepika kept her accessories minimal. Also read: 7 Bollywood Mehmaan Styles We’re Totally Crushing On! Trust Deepika to wow us each time she steps out in Indian wear. A sheer red saree with same colour-work looks even more wonderful with the colourful floral crop top-style blouse. What could otherwise have looked like a basic traditional look, now seems much more fun and fresh. Also read: Newlywed Inspiration: We Are TOTALLY Loving Mira Rajput’s Style! And she does it again! 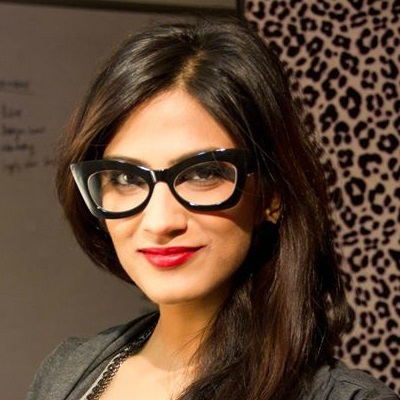 Styled by her sister Rhea Kapoor, this look just gets everyone’s attention. A quirky colourful peplum blouse with full sleeves worn with an off-white saree is just so chic. We love the geometric saree border and her ‘to die for’ silver jewellery. Someone please buy me that! Image: Sonam Kapoor on Instagram HAVE A STORY IDEA FOR POPxo? If you want to hear about it, we can write about it! Just tell us your idea here!